Whether it be a hotel or hospital, efficiency is an important element to running a business. The same stands true for a dealership’s staff to efficiently access auto keys. The more time staff spends finding a lost vehicle key, the longer the wait times and more frustrated customers become. 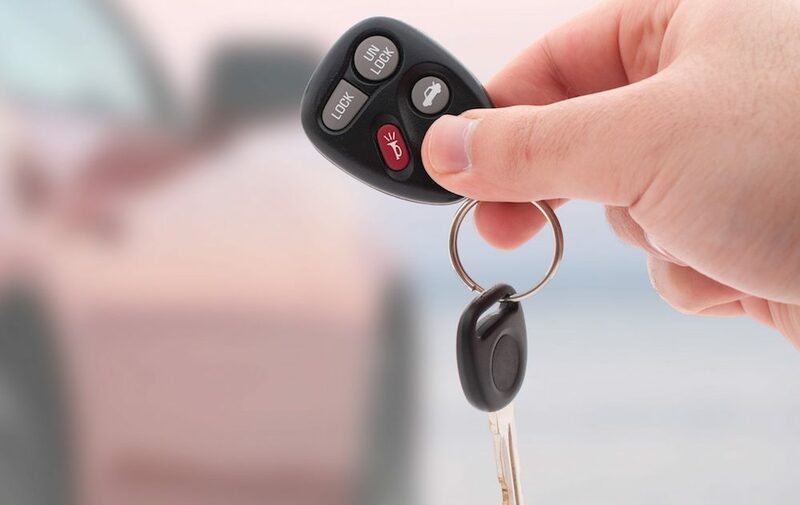 Lost keys can incur an increase in replacement costs for dealerships and the loss of a car sale. Hence, why the traditional pegboard is becoming ineffective and outdated for automotive businesses to organize their vehicles keys. Pegboards also lack the ability to secure keys from potential theft from staff or outside personnel. This especially becomes a challenge for sales managers and owners of dealerships to keep track of accountability among the many vehicles within the lot. How does one manage all of these keys? The answer to this question is a key management system. Key management systems (also referred to as “key tracking systems” or “key control systems”) are a valuable asset to any dealership – big or small. These systems provide effective tracking, security, and accountability among the dealership’s staff who need to access these keys. In this article, we will go over what to look for in a system vendor, and best practices to help your dealership secure its vehicle keys. Around Christmas of 2014, a used car dealership in Grand Island, a city in Nebraska, had its entire inventory of keys stolen. According to the police, the burglars gained entry into the dealership through an unopened window and stole a set of 42 keys. The infiltrators also stole a gold 2001 Ford Taurus, and a red Dodge 1500 Ram – both valued at $13,000. Luckily the gold 2001 Ford Taurus was recovered as it was found near an elementary school. With that said, this unfortunate ordeal stresses the importance of dealerships needing to incorporate electronic key management systems. If a system had been installed, not only will it safely secure the keys, but also given the owner peace of mind. Before we delve into learning about how to prevent lost keys with a key management system, we must go over the features of the system itself. Key management systems have various methods of access, providing managers and owners the flexibility to implement. These options include keypad, biometric fingerprint reader, magnetic card reader, proximity card reader, and hand geometry reader. Most electronic key management systems will contain a backup battery that can last up to 72 hours. This is especially useful in the event the main battery goes out or the system loses power. This feature is especially valuable if there is a local power outage or blackout, where it could several hours or even days for the local city or town to regain power. Generally, most key control systems are made out of thick steel (our systems are 18-gauge) that assist with safely securing keys, and discourage tampering. The system cabinets are also durable to withstand lock picking. Many systems will also include “smart key” locations, which are individually illuminated for quick visual ID to quickly find keys. The smart key is especially useful for finding keys to demo vehicles for customers and eliminate wait times. This key ring is more robust than the traditional kind since it directly syncs with the system and sends infrared signals to help track keys in real time. These signals are sent to the system when a set of keys are taken out and/or returned after use. The key rings are color coded to assist with quick identification and contain unique tags to prevent substitution. The durability also enables reuse multiple times. Unfortunately, the possibility of internal theft within any business is a reality – in fact, businesses lose as much as 7% of revenue per year due to theft from staff. Prior to the inception of key tracking systems, many dealerships would store their vehicles keys in drawers or on pegboards. This form of organization and storage was challenging for dealerships to hold staff accountable and to track employee access to the vehicles keys. This would especially be problematic in cases where dealerships would have to manage a high volume of keys during seasonal demand. One of the significant benefits of implementing an electronic key management system in your dealership is the ability to control who has access to your auto keys. Controlling access warrants better management of accountability amongst staff, and enables managers to keep a paper trail of who, and when the system was accessed. Managers who have administrative access can set up varying levels of authorization among team members. Therefore, this ensures employees are only authorized to check out keys relative to their responsibilities and decrease internal theft from occurring. Electronic key management systems provide different types of access such as passwords, proximity cards, and fingerprints. These forms of access enable more control access and contribute to improving accountability. Managers can, therefore, choose which form of access to implement. When using any of these three, access should be limited to a small number of employees in order to effectively manage the auto keys. Generally, it is recommended to limit access to the sales department and service managers. Both reporting and tracking are two components that are integral to the overall process of organizing keys with a key management system. In this part, we will be going over the importance of these two characteristics. These types of reports will give insight into who has the keys to your businesses vehicles and the location of the vehicle in real time. Vehicle Inventory reports are very useful in determining the accountability of your sales staffs access to the automotive keys. As mentioned before, accountability is an essential aspect of running a dealership business in understanding who has access to the keys. Through these reports, you will also acquire a paper trail of the time of access, followed by the user and keys, all of which establish accountability. Business owners and managers can also acquire an understanding to better develop and reinforce their system of accountability. Vehicle Inventory reports can be accessed via the key management system’s software or exported in an excel spreadsheet for further data analysis. In addition to managing the location and access of keys, managers should also track the vehicle mileage and the number of vehicle demos driven. By monitoring these metrics, managers can better gauge the generation of mystery mileage among employees who are using vehicles for personal use. The information from these reports is very useful to help upper management identify who has driven each vehicle and when. How many times a day/week should I run reports? While there is no hard set number, it is recommended to run the reports at least once a week. If a report is being generated once a day, typically it is best practice to run it at the end of the day. By doing so you acquire a better understanding of the employees’ daily access of the keys. It is also best practice to run an inventory count on the number of keys at the end of the day to ensure there aren’t any missing. Can I have a report emailed? Absolutely! Most key control systems can be scheduled and sent to a user’s email. These reports can be set up to automatically email them to a user on a particular day and time. The frequency of scheduled reports can be set to daily, weekly, monthly or yearly depending on how often a manager wants to monitor the keys. Can reports be exported to Excel? Yes. Key management systems enable the options for users to export reports into an Excel file to offer flexibility in slicing and dicing the information. Some key management systems do require software in order to use the reporting features. Generally, these minimum specifications require a Windows PC with 1 GB of RAM and 2 GB of free hard drive space. It is recommended to at least have a Windows 7 operating system running on your office’s PC. Are key management systems equipped with an alarm? Most key management systems include an alarm that will be triggered for a variety of reasons. Below are some common reasons an alarm is triggered. Door Left Open: If the system’s door is left open after one has removed or returned a key, the alarm will activate. Overdue Key: The alarm will activate when a key is not returned within its programmed restricted time. The restricted time is set at the administrator’s discretion regarding a timeframe (i.e. 1 hour, 2 hours, etc) a key should be returned after it has been removed. It is recommended for managers to evaluate a reasonable time frame for a sales associate to return the key after it is removed. Illegal Access: Activated when a user code is entered in 3 consecutive unsuccessful attempts. Hence, it is important for managers to keep track of who has access to the system in the event there is an illegal breach. Can I remove old users? Key control systems give managers the flexibility of removing users from the system. As soon as an employee leaves the company, it is recommended for the manager to remove the system. By doing so, will lessen the risk of illegal tampering of the system, especially from a disgruntled former employee. Can I change a user’s access code? Many systems enable administrator’s to change user codes (or pins). As a best practice, it is suggested to change access codes every 3 months. This will prevent unwanted access from the outside. A confidentiality policy is also recommended between employees to ensure access codes are not being shared amongst one another. Do systems offer technical support? Many manufacturers such as Morsewatchmans will offer technical support to users to help them with troubleshooting any issues. Many key management systems contain replaceable parts in the event there is a malfunction. Users should be aware of any unusual system activity and report them to the system’s administrator who is in charge. Many manufacturers and resellers will give you a one to two-year warranty to cover the cost of replacing malfunctioning parts. Many systems are modular by nature and therefore make it easier for users to replace the parts. Many vendors and resellers will offer system training to help users learn how to use the systems and become better acquainted. As a best practice managers should train any new salesperson on using a key management system in preparation for future selling. In fact, our experts will train your team members on using the systems upon installation. Should my business implement a database? The choice to implement a database such as SQL or Access is optional and can offer flexibility in identifying information. Many systems will important database information such as users, departments, groups, time restriction. However, Excel will suffice if you choose not to use an Access or SQL database. Interested in inquiring more about one of our systems? Key Control Systems™ offers robust and easy to use key management systems. Our experts are equipped with the most updated knowledge and can train your staff on how to use the systems themselves for your day-to-day activities. We will also install the systems onsite and be ready to answer any questions. For more information please call: 888-685-1040 or email us at, info@keycontrolsystems.com. You can also fill out our contact form for any system inquiries and one of our expert consultants will get back to you. If your business is not an automotive dealership, please check back since we are in the process of launching a website to best service additional industries. Key Control Systems – What’s in a Name?